Tesla launched the Model Y crossover SUV on Thursday the 14th of March 2019 but the rockstar launch failed to impress commentators who were disappointed with the late entry of the car. The Model Y will enter the market at the same time when a flood of new EVs from all major brands are launched.The Tesla Model Y will be available in 2020 in three specs, a long range rear wheel drive priced at $47,000, a long-range all-wheel drive priced at $51,000 and a performance model priced at $60,000. For detailed specs and pricing see our easy to use infographic below. The standard range version with a range of 250 miles (400km) will only come to market in 2021. The Model Y will be produced in Nevada and Shanghai and a possible third location, maybe Freemont. Tesla has already opened the order book for the Model Y CUV which can be ordered for a refundable deposit of $2,500 on the Tesla website. Based on the rollercoaster pricing habits of Tesla over the last couple of months expect the pricing to change closer to the launch. The Tesla Model Y is available as a five-seater in 2020 and a seven-seater option form 2021. I don’t fully share the comments that the market will be crowded when the Model Y finally comes to market, it is a pity though that Tesla did nor bring a product for the most popular car segment to market earlier. Sure the Model Y will enter at a time when all the big automakers finally join the party but at that time I expect the market to be big enough to still see long waiting lists for cars. The consumer has woken up and now demand electric vehicles are continuously surprising on the top side. Consumers are putting off the buying decision for a new car until an electric option becomes available for fear of seeing resale values of combustion vehicles crash. Tesla’s share price nonetheless took a dive and is currently trading close to a big support level of $250. I will definitely be an interested buyer should the stock reach the $220 to $200 range, which could be a healthy correction, but by no means a new bear trend. Volkswagen announced that it will open the order book for the I.D. NEO on May the 8th 2019. The VW I.D. Neo is expected to be available in three battery packs delivering commute ranges between 205 miles / 330km and 600km priced from €25,000 euros (about 30,000 US dollars). Volkswagen will produce 100,000 electric vehicles per year at the Zwickau plant, which is Volkswagen’s first new electric vehicle factory to assemble cars on its MEB platform. BYD released teaser images of its new luxury SUV which will be released this year. The SUV which is based on the Tang Dynasty series is known currently as the SA2 (Dragon Face 2.0) will be available as a combustion, dual motor plug-in electric and pure electric vehicle. BYD announced the launch of the BYD e1 F0 class EV and BYD S2 compact SUV, based on Yuan platform. The BYD e1 and BYD S2 will enter the market on April 1, 2019. The BYD S2 has a range of 305km (191 miles) and the BYD e1 a range of 300km (188 miles) both on the NEDC test cycle. BYD opened its order book for the BYD Song MAX DM MPV and set the price range for the three trims from ¥160,000 to ¥200,000 after subsidies. The combustion version is priced between ¥80,000 and ¥130,000. The 1.5L BYD SONG MAX DM has a combined fuel consumption of 1.2l/100km and can accelerate to 100km/h in 6.9 seconds. The SONG MAX competes with the Geely Jia-Ji and can be upgraded via OTA technology. The BYS SONG MAX is equipped with SAE Level 2 advanced driver assistance. The SONG MAX DM MPV is available in two battery configurations providing a 51km (32miles) and 81km 51miles) NEDC electric range. AUDI announced that the e-tron Sportback, first introduced as a crossover coupe concept of the recently released AUDI e-Tron Quattro, will enter production at the end of 2019 as its second EV. AUDI plans to introduce 30 electrified models by 2025. The slip-back styled production version is said to include a rear-view camera instead of a mirror. The AUDI e-tron Sportback drive train consists of two electric motors delivering max power of 300kW (407Ps) and a maximum integrated torque of 664N·m. A performance version named “60 Quattro” might also see the light of day with a max power exceeding 370kW, The e-tron Sportback will share the same 95kWh battery as the e-tron Quattro. Karma Automotive announced that itis to present three models during the 2019 Shanghai Auto Show in April. The models are the Karma Revero, Karma Vision pure electric concept car and the collaboration with Pininfarina below on the left. Changan launched the Changan Honor A600 EV, its six-seat electric MPV this week. The Changan A600 EV is priced at ¥149,800 before subsidy and has a range of 405 km / 253 miles NEDC. The 4.5 meters long A600 EV is equipped with a 90kW electric motor and luxuries such as a right-side rearview mirror with a camera, front/rear reversing radar, trip video recorder and electric sunroof. Hozon announced that it will reveal its second production EV on March the 21st 2019 and unveil it at the Shanghai Auto Show in April. 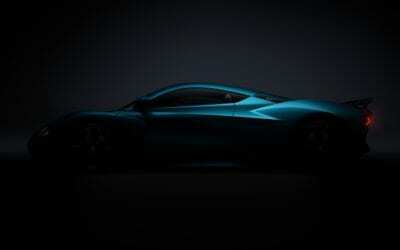 The new EV is based on the N03 concept which followed on the Eureka 01 concept EV. The new EV has a range of 500km (313 miles) and equipped with Level 2+ advanced driving assistance and a large digital display. 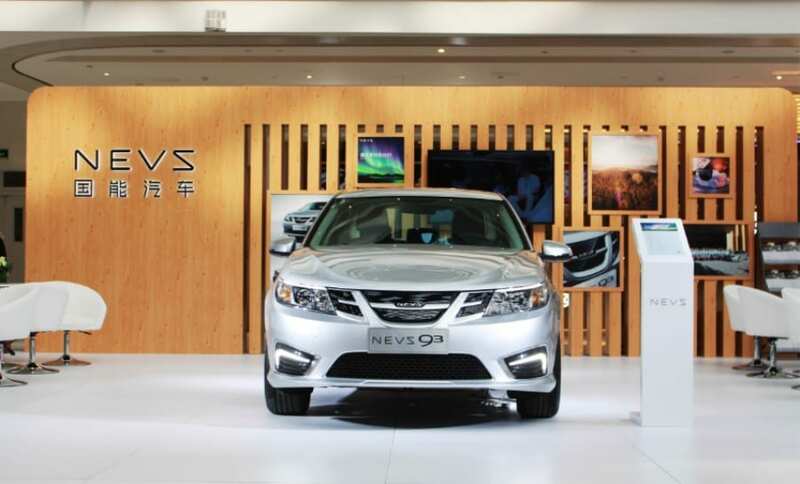 NEVS and its white knight shareholder, Evergrande Health, announced that it will finally bring the NEVS 9-3 to market and that it will be sold globally from June 2019. 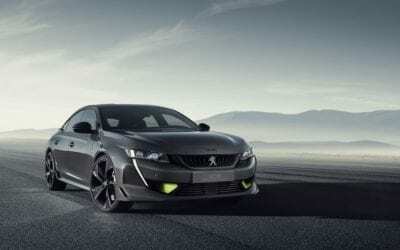 After its failed entry into Faraday Future Evergrande is making a huge play in the EV space with recent investments in its own Charging infrastructure company, an investment in Koenigsegg, the Dutch e-Traction drive technology company, and Carnegie New Energy, a clean energy company. Earlier I mentioned that NEVS announced the international release of the NEVS 9-3 V in June 2019 now Geely takes aim at Tesla with the launch of its latest electric car. Geely named the Geely GE11 as the Geometry A and target it to compete head-on with the Tesla Model 3, not just in China but regions such as Europe. 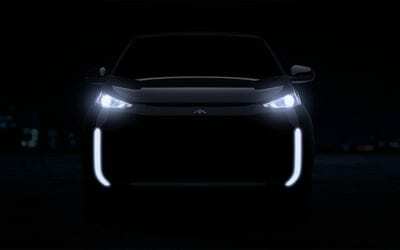 The Geely Geometry A will be launched on the 11th of April 2019 and is already available for pre-order. The price of the entry-level Geometry A is expected to be in the region of ¥200,000 after subsidies. The Geometry A is available in two battery choices, a 61.9kWh 500km (313miles NEDC) and 51.9kWh pack delivering an NEDC range of 410km(256mile). The Geometry A battery charges in 33 minutes between 30% and 80% for the larger pack and 30 minutes for the smaller pack. The Geely Geometry A is also equipped with what it calls Level 2+ self-driving capabilities. The Geometry A advanced driving assistance includes camera and radar to enable AEB (automatic emergency braking system), ACC (Adaptive cruise control) and S&G (Stop/Go). The AI system is active from 0 to 150km/h and also include RCW (rear collision warning system), DOW (door opening warning system), LKA (lane keep assist system), BSD (blind spot detection system) and LCA (lane change assist system). Various Chinese other automakers such as GAC, SAIC, Kandi, and Qiantu have already started selling models in limited numbers in either the USA or Europe or have announced plans to open sales operations there. The Western consumer has always been skeptical of the quality of Chinese cars, but so have they in the 1950s of Japanese vehicles and later Korean vehicles. The current “crisis” in the auto sector where there is a huge demand for electric vehicles might be the opportunity for Chinese auto brands to change perceptions and use the demand to introduce their cars to a starving consumer market for electric vehicles. 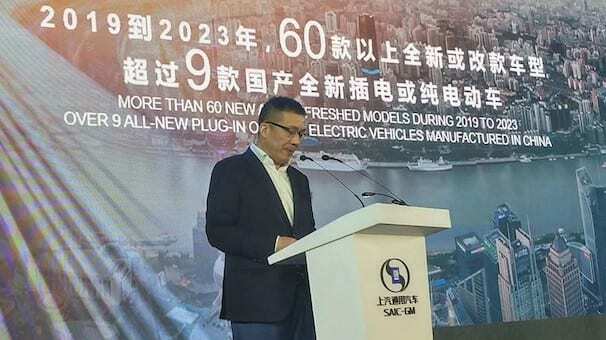 GM and its Chinese partner SAIC this week announced its 5-year plan which will see the introduction of nine electrified vehicles by 2023. In total the company plans to bring 60 new models to market, making the EV component seem insignificant. Some of the new electric vehicles from the GM brand to be sold in China include the new Chevrolet EV and Buick Velite 6 plug-in hybrid and pure electric models. With new stringent electric vehicle production requirements, GM is forced to be more aggressive in its EV strategy in China than it is in its home market the USA. Currently, GM which is selling around two million units annually in China has an “energy credit gap” of 200,000 points, requiring them to produce 100,000 pure electric vehicles. SAIC-GM entered into a strategic partnership with CATL in September 2018 which will see them cooperating in the field of automotive battery technology and research and development of SAIC GM’s next-generation new energy battery. The company is also aiming to become completely carbon neutral in its fleet and operations by 2050. The company has set its first target to reduce its emissions by 30% from 2015 levels by 2025 and 40% by 2030. The Volkswagen Group has also established a company Elli Group GmbH (Elli Group GmbH) to develop power and charging solutions. The Berlin-based Elli will develop energy and charging-related products and services for Volkswagen’s brands and strengthen Volkswagen’s capabilities in electric mobility services.